The Clinical Advisory Board (CAB) is an independent body that advises the Human Brain Project on clinical issues of general importance. 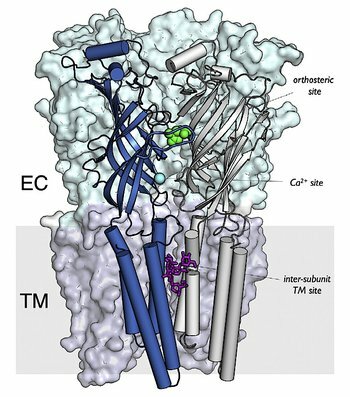 Illustraion of the receptor channel of a typical allosteric site like the nicotinic receptor of acetylcholine. Modelling allosteric drugs is one of the HBP's co-design projects.